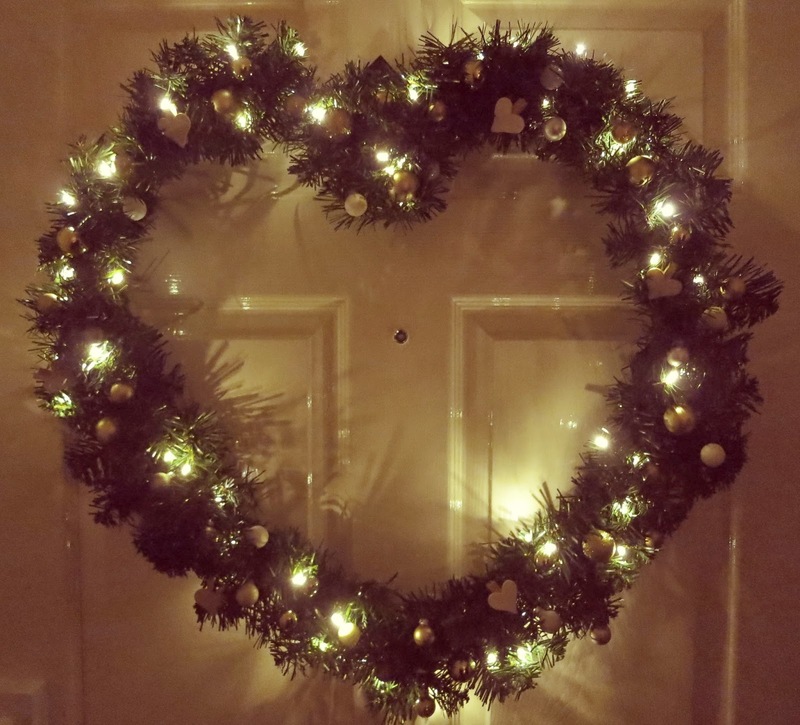 A Wreath- save time and faff by using this gorgeous LED Lit Heart Door Wreath. Decorations- I used a set of miniature glass baubles from Paperchase, medium sized baubles from Next and heart pegs from Asda, but you could be more adventurous and use pretty much anything that suits your colour scheme or theme, such as pine cones, cinnamon sticks or novelty decorations. Florist Wire- I used this wire to tie the decorations on to the wreath. Pliers- to cut the florist wire. 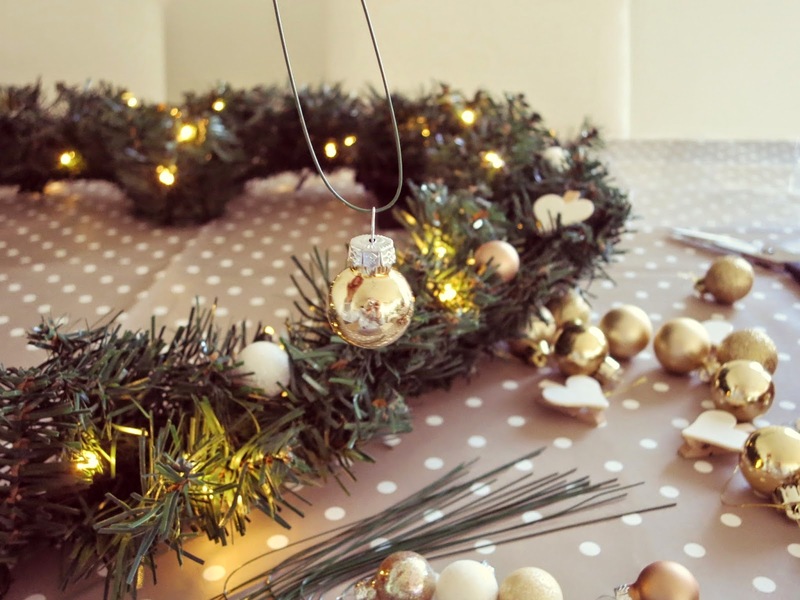 There’s no real knack to it, just thread the florist wire through your chosen decorations and secure it to the wreath by wrapping it around the central frame and tucking away any loose strands of excess wire. 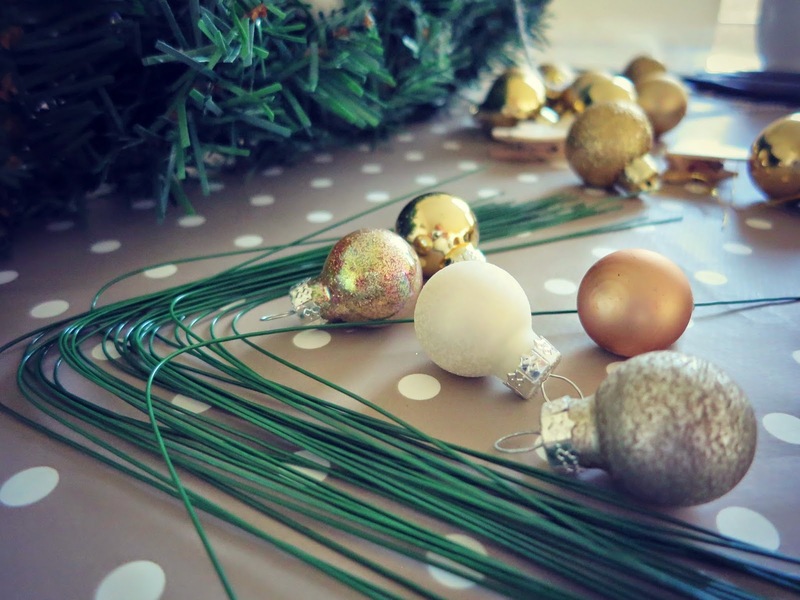 Start with any larger decorations, positioning them evenly around the wreath to give you a little guideline, then fill the gaps with alternating colours. 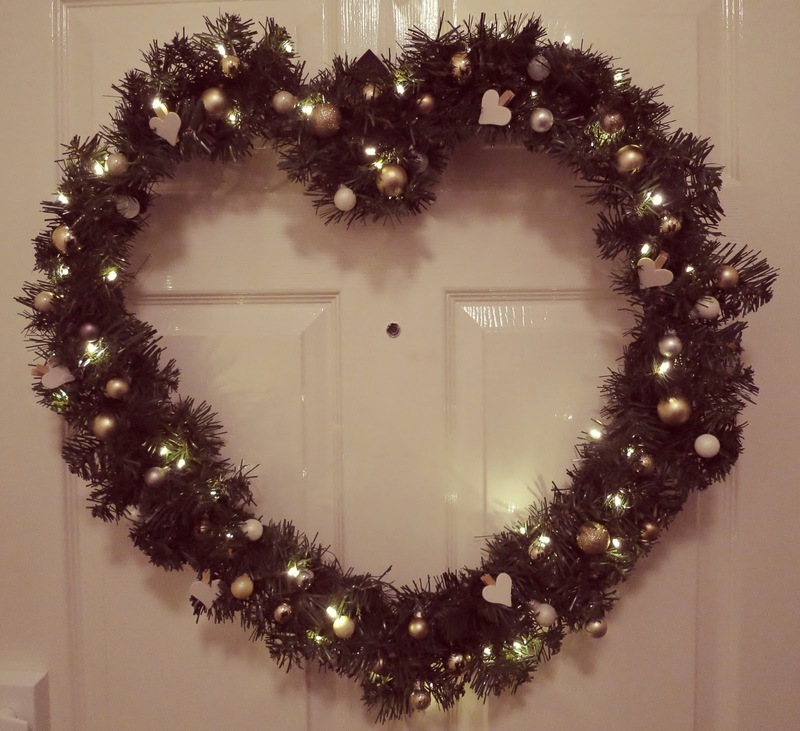 A little tip would be to set aside some of the decorations for once you’ve positioned the wreath on the door to fill in any gaps that appear now it’s upright. Using a ribbon thread through the top of the heart to form a loop, tie together and hook over a nail in your front door. The light switch for the wreath should rest comfortably on top, but tucked away out of sight. 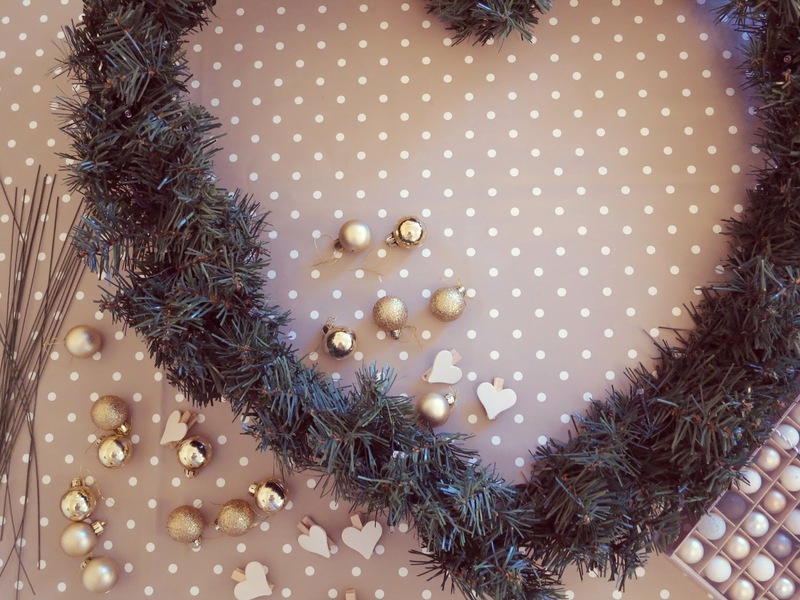 Et Voila…you now have your very own personalised festive wreath. 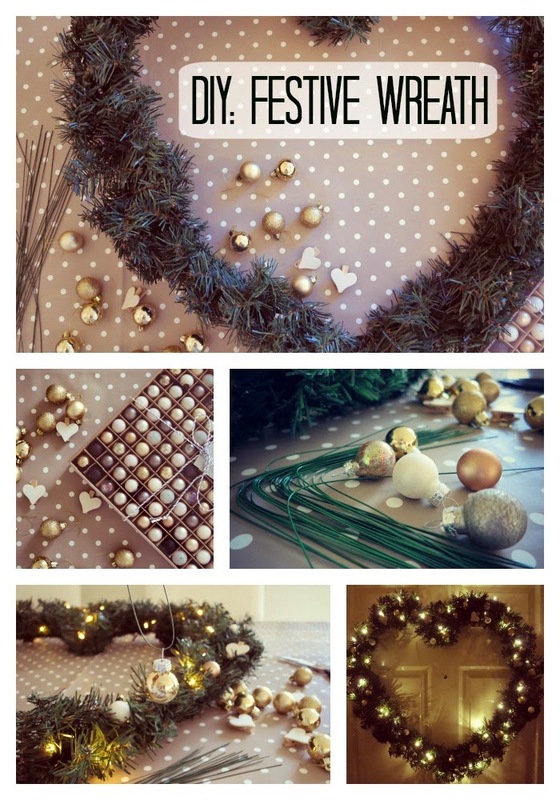 Have you made any Festive DIY’s this year? Let me know in the comments below…! 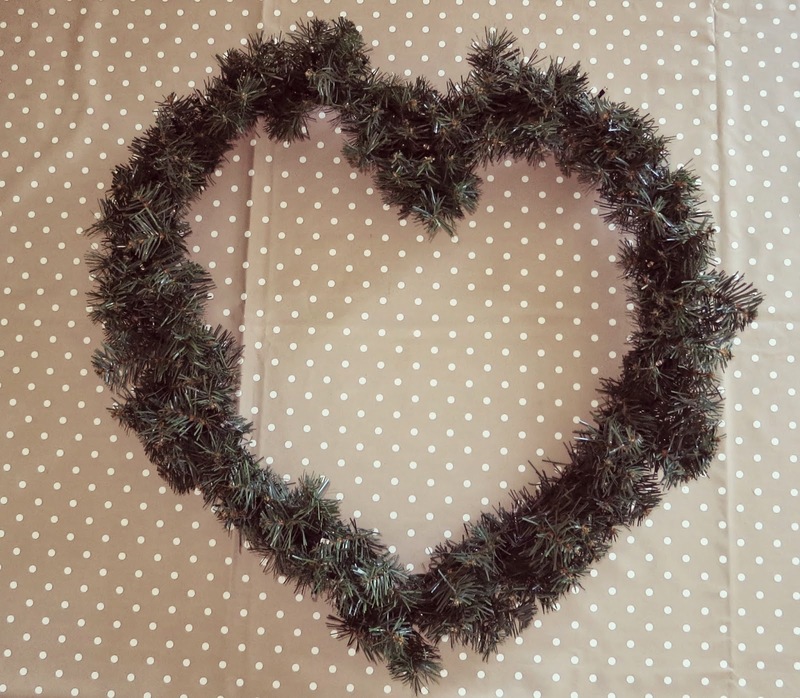 Disclosure: I was kindly gifted the Christmas Heart Wreath to review. As always, all opinions are my own and have not been influenced in any way. Thank you for supporting the brands that make this blog possible. 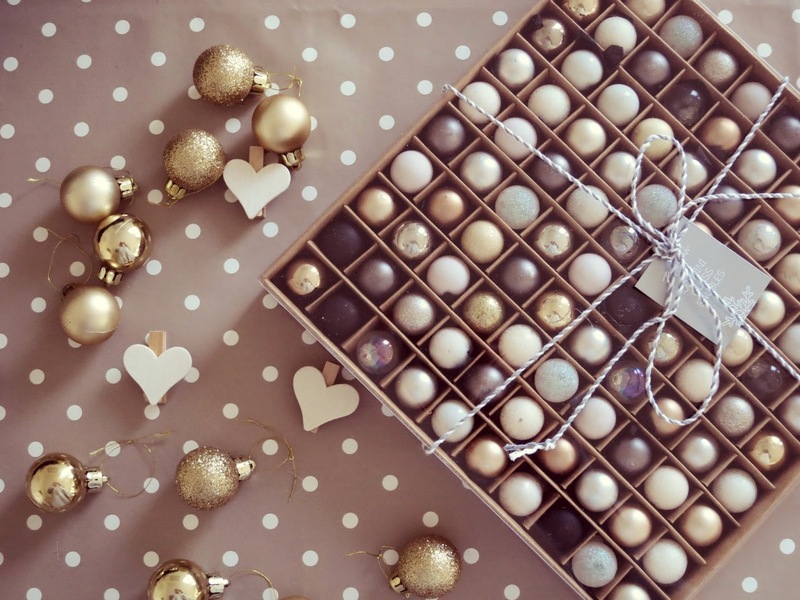 Next Post Happy New Year…I’m Back!